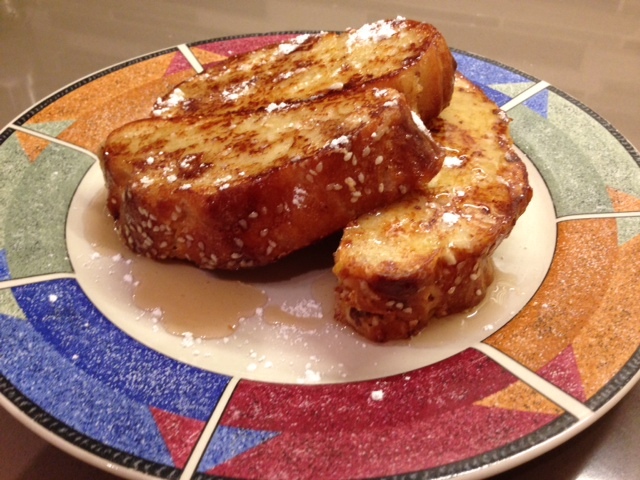 The perfect breakfast to make with challah leftover from a Friday night dinner! This dish was actually inspired by a friend and old coworker of mine. I told her about my efforts to perfect a challah recipe, and she mentioned that it was her favorite bread to use for french toast. 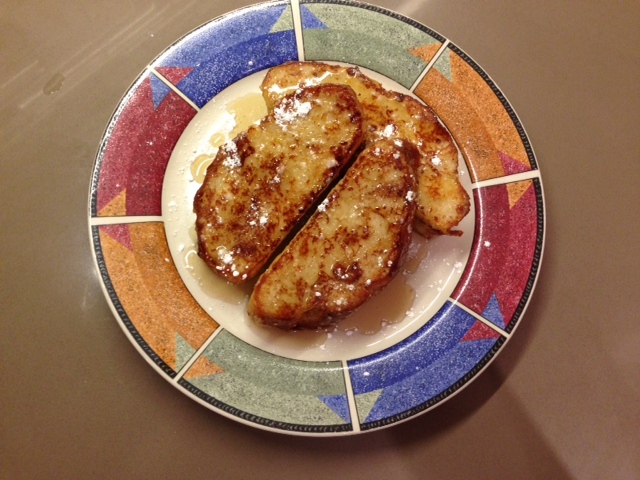 I like to call my dish triple C french toast because it’s made of challah, soaked in coconut milk, and seasoned with cinnamon. 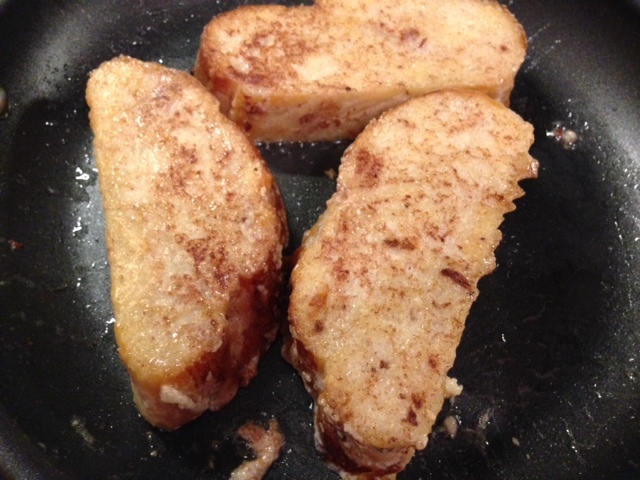 I also use a bit of nutmeg in the batter, which gives the toast a nice a fall seasonal flavor. Oh, and my friend was right. 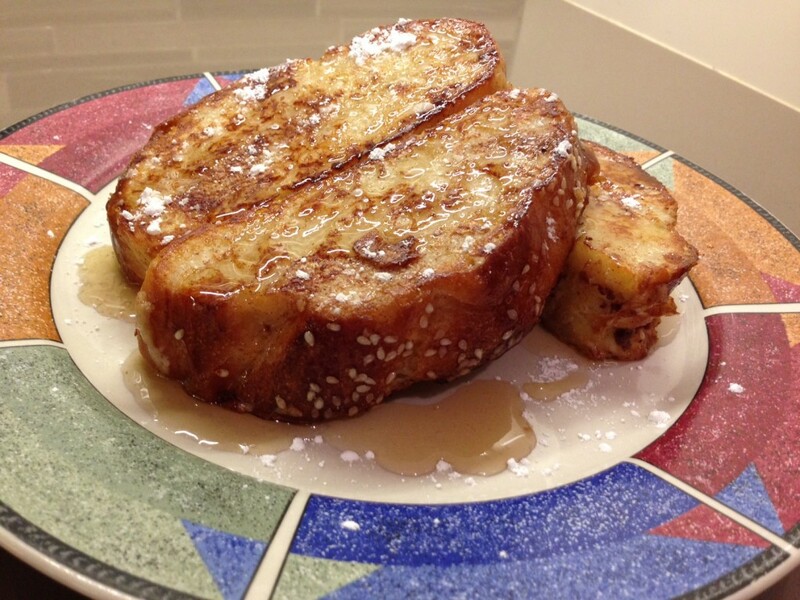 The sweet challah bread makes for an epic french toast! 1. 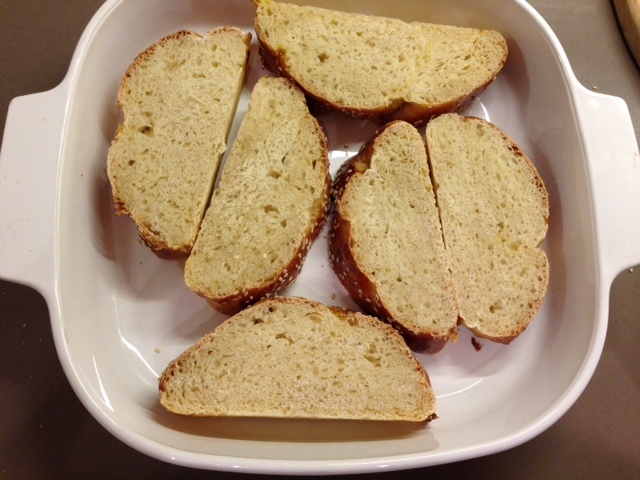 Cut leftover challah into 1 1/4 inch thick slices. 2. 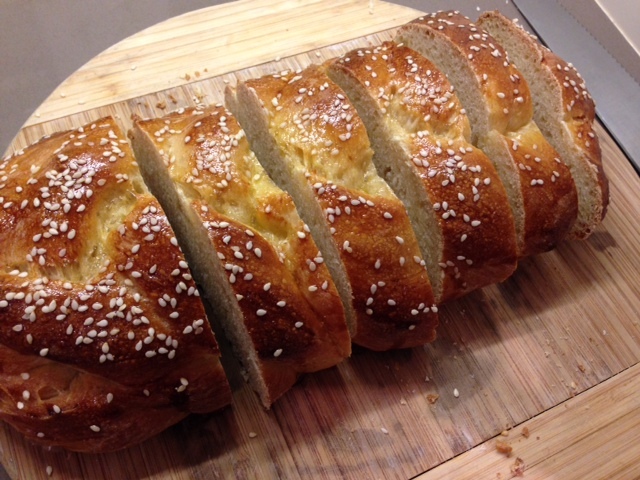 Arrange challah into a deep dish. Set aside. 3. 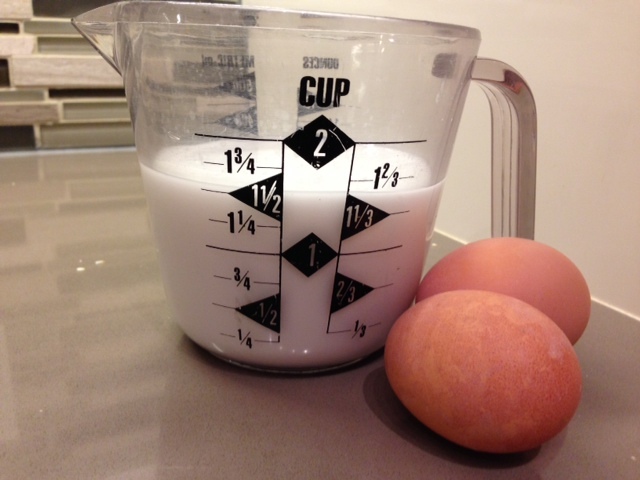 Measure out coconut milk, then add eggs, sugar, vanilla, sugar, cinnamon, salt, and a pinch of nutmeg. 4. Pour liquid over bread slices. Let sit for 15 minutes, then flip the bread and let sit for another 15 minutes. 5. Warm a non stick pan over medium heat. 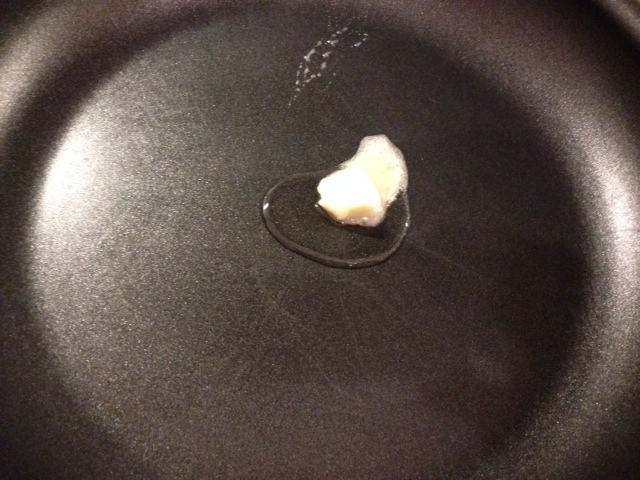 Combine about a tsp of canola oil and a tsp of butter in the hot pan. 6. 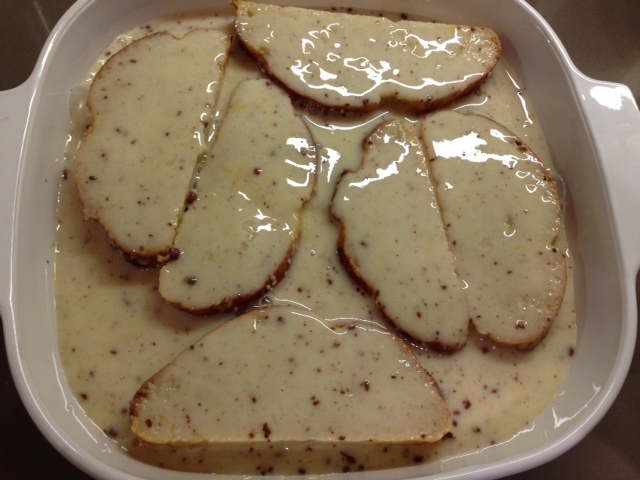 Put about 3 slices of soaked bread into the melter butter and oil. Be sure not to crowd your pan. 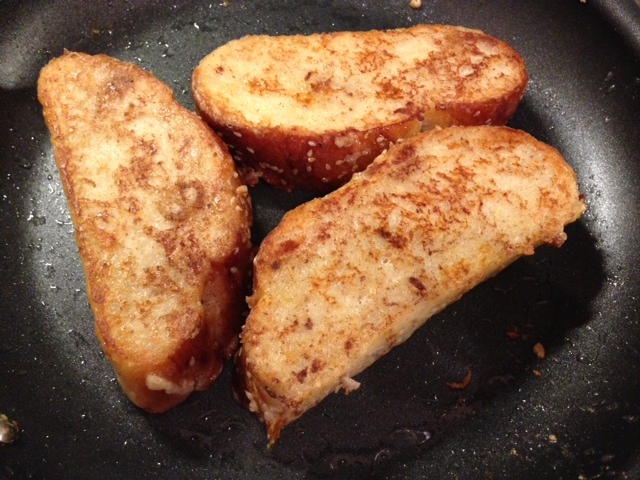 Cook toast in batches, and once cooked you can keep toast warm in the oven. 7. Let cook for a few minutes on each side until nicely browned. 8. 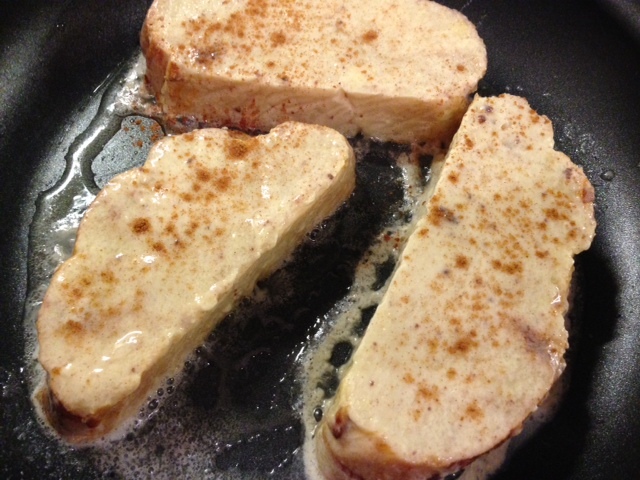 Serve with powdered sugar and maple syrup. 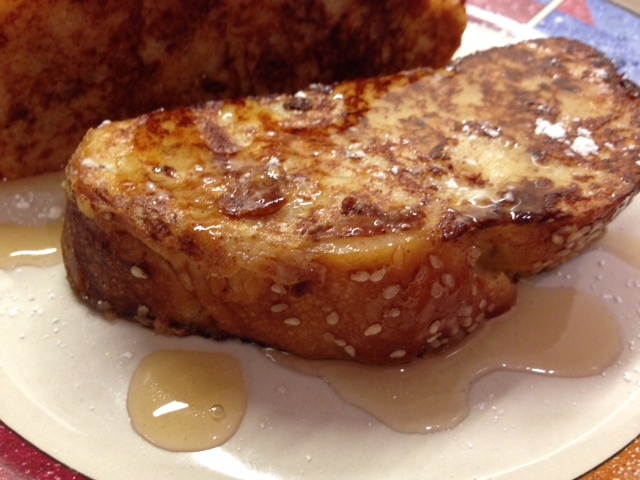 I made your pretzel bread vegan challah yesterday, and tonight we tried making your coconut french toast with it. It was pronounced “addictive”. Thanks for the recipes.